Anna and Jesse had a beautiful engagement shoot in Stillwater. Anna and Jesse were just effortless. Effortlessly beautiful, effortlessly photogenic, and effortlessly in love with each other. I mean this first and foremost from a photographer’s standpoint; it was effortless to capture the love between these two on camera. From an observer’s standpoint, you could just feel the joy of these two being absolutely in love with one another. They were relaxed and comfortable, clearly secure in who they were and what they had together. It was hard to not get amazing pictures, because they were just themselves, and that’s what their photos inevitably reflected. Because of this, Anna and Jesse would have taken beautiful pictures anywhere, but we ended up shooting with interesting weather and amazing scenery as well. It was rainy, which I always see as an opportunity for adorable umbrella pictures and unique misty backgrounds. 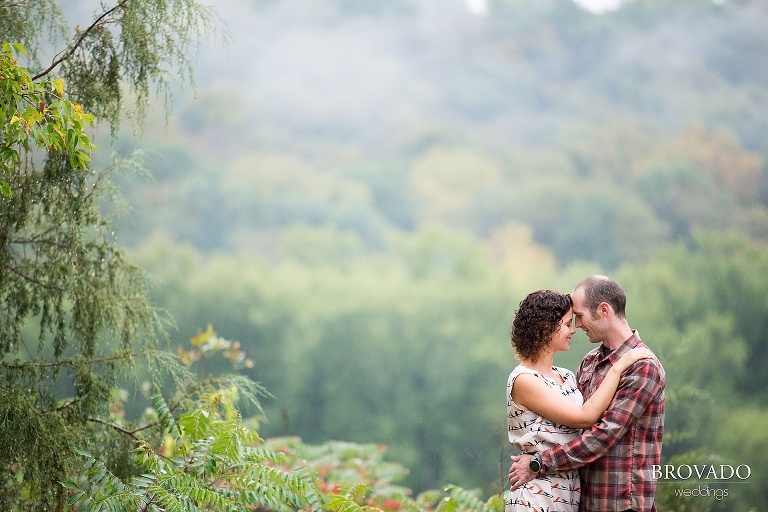 When the rain halted, we seized the opportunity to capture some moments overlooking the banks of the St. Croix. We even took some pictures in the river! Anna and Jesse, your presence is calming and your love is contagious, and I cannot wait for your wedding! 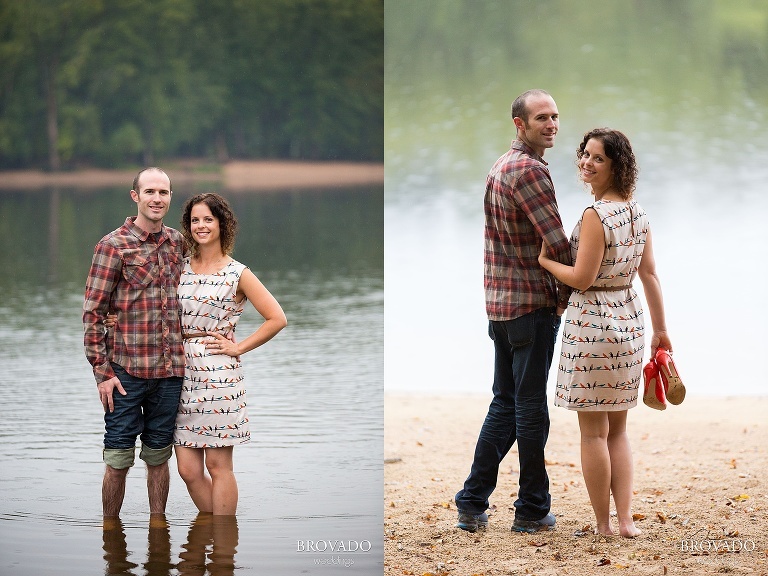 So happy you were willing to take a chance on the weather, these pictures are amazing!